Good afternoon. 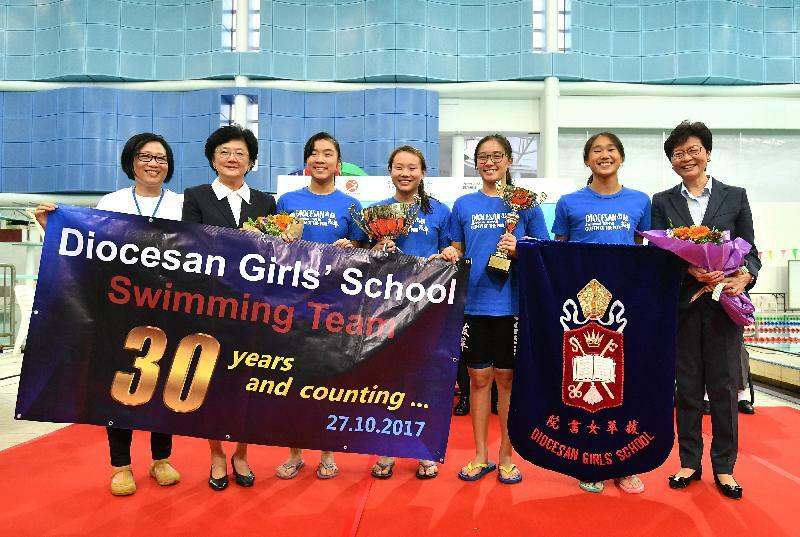 It gives me great pleasure to be here for the Division One Inter-School Swimming Competition's prize presentation ceremony for 2017-18. I also enjoyed very much watching the Finals of the Boys and the Girls A Grade freestyle relays just now. I would like to extend my warmest congratulations to over 14 000 students among the 723 teams participating in this year's competition. For the winning athletes, many of you may represent Hong Kong in the future in international competitions and I look to you to bring us glory and honour. 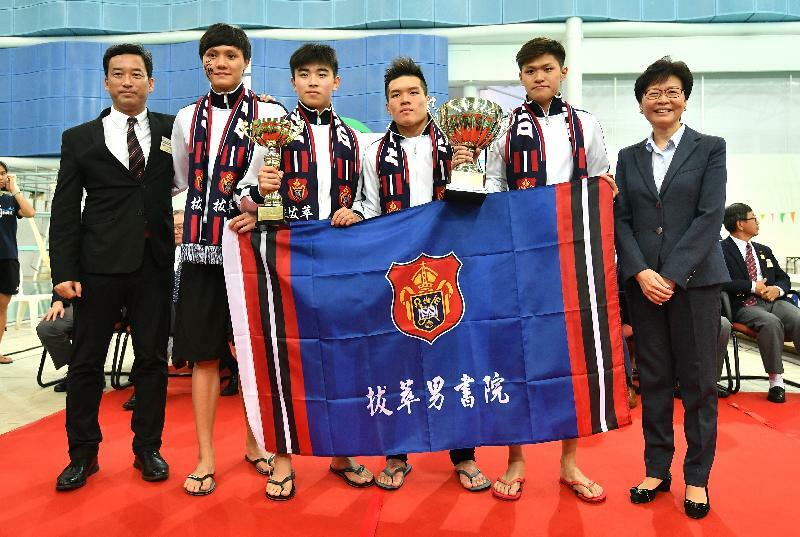 The Government has consistently promoted the development of sports through a three-pronged approach, namely to promote sport in the community, to support elite sport and to make Hong Kong a centre for major international sports events. In recent years, our elite athletes have achieved remarkable results in international sports events and inspired many young people with their passion, commitment and hard work. And we're doing all we can, on the sidelines, to help these elite athletes. That includes injecting HK$1 billion next year into the Elite Athletes Development Fund with a view to reinforcing the coaching team and training partner arrangements, and enhancing scientific and medical support for raising their standards. Apart from taking forward the mega Kai Tak Sports Park project to provide modernised and multi-purpose facilities to support major sports events and holistic sports development, the Government has earmarked HK$20 billion in the coming five years to launch 26 projects to develop new or improve existing sports and recreation facilities, including sports grounds, football pitches, swimming pool complexes and open space. These facilities when completed will help boost Hong Kong's sports development in all the three aspects I have just mentioned. They will definitely help enhance the image of Hong Kong as an Asian sports city. They will also help promote healthy lifestyles, encourage social interaction and foster a strong sense of community identity. 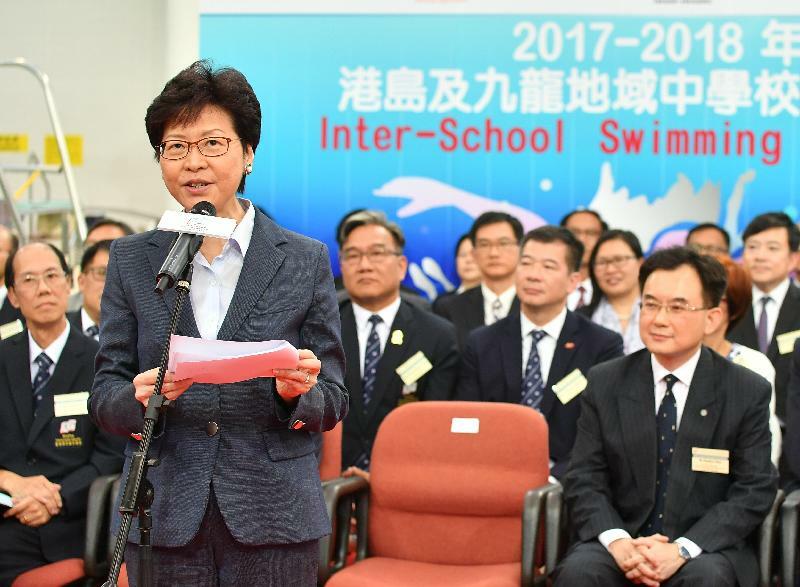 Before I close, I would like to take this opportunity to thank the Hong Kong Schools Sports Federation for tirelessly nurturing young athletes over the years. I would also like to extend my deep appreciation to all those who have dedicated their time, enthusiasm, manpower and resources to make this annual competition a continued success. May I also wish our student athletes all the best in sports, academic pursuit and your future endeavours. Thank you very much.